International Monetary Fund Managing Director Christine Lagarde briefs the media during a news conference at the annual meeting of the World Economic Forum, WEF, in Davos, Monday, Jan. 21, 2019. Photo via AP/Markus Schreiber. 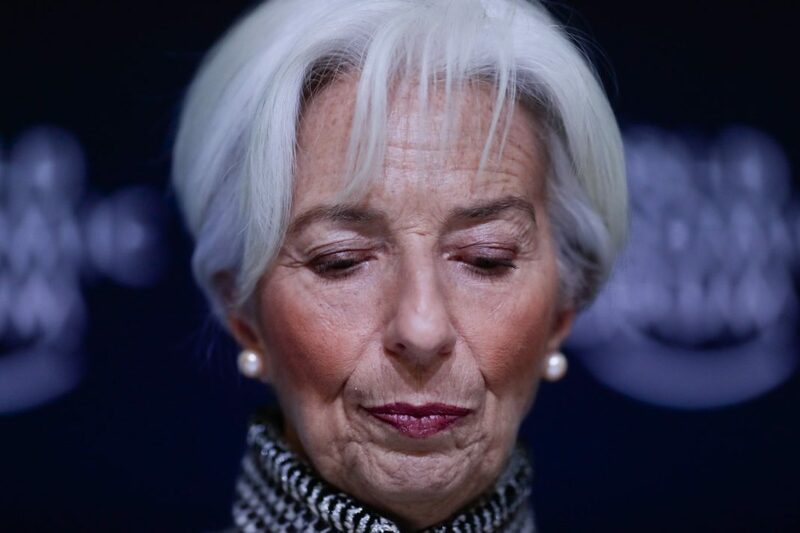 The IMF cut its forecast for global growth this year to 3.5 percent, from the 3.7 percent it had predicted in October and down from 2018′s 3.7 percent. Underscoring the wobbly state of the global economy: China, the world’s second-biggest economy, on Monday reported 2018 growth of 6.6 percent, the weakest since 1990. Consumer demand and appetite for Chinese exports weakened last year and the IMF expects China’s growth to decelerate again this year — to 6.2 percent.